In California in May 1853, Ben Rumson strikes gold and establishes a community in his own name. The show follows the progress of the town as hundreds of men come to dig for gold. There are two subplots: the first focuses on the romance between Ben’s daughter Jennifer and Julio, a miner forced to live outside the town because he is Mexican; and the second involves the arrival of a Mormon (Jacob) and his two wives (Sarah and Elizabeth), one of whom Ben “buys” in order to free from her abusive marriage. After eighteen months, the gold has run dry and the miners move on. But Jennifer and Julio stay to make a new life, counseled by Rumson who realizes that after violating nature and stealing the earth’s riches it’s time to settle down and farm the land rather than resume the search for gold. Thus the story depicts the birth, flourishing, death and rebirth of a town over a fixed period of time, an ambitious concept for a Broadway musical. 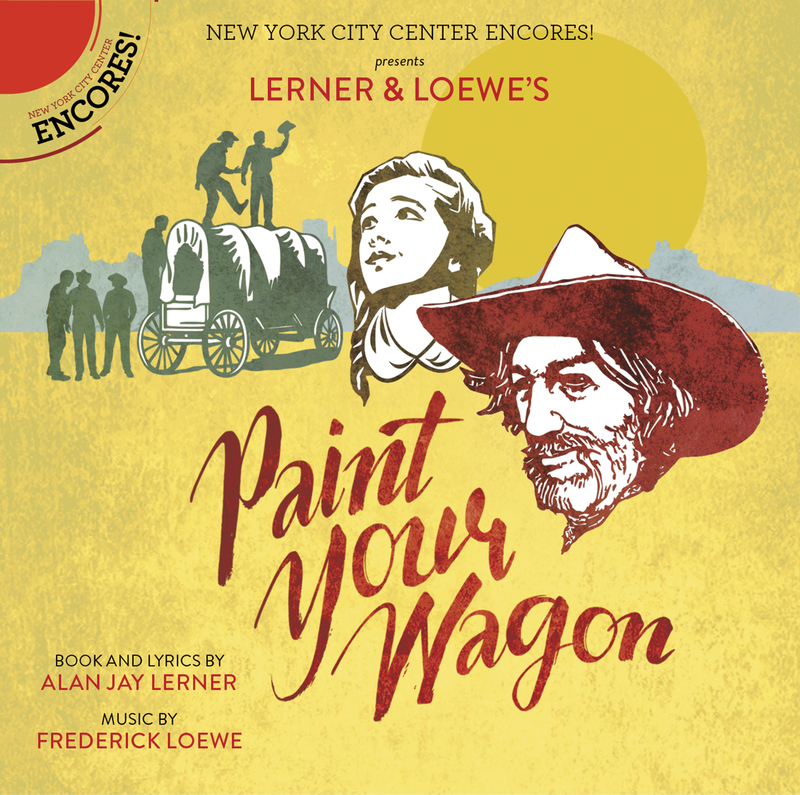 Filled with gorgeous standards such as “They Call the Wind Maria,” “I Talk to the Trees,” and “Wand’rin’ Star,” Paint Your Wagon is Alan Jay Lerner and Frederick Loewe’s sweepingly ambitious and surprisingly realistic take on freedom, family, and racism in the Gold Rush-happy America of 1853. Starring Keith Carradine, Justin Guarini and Alexandra Socha, the outstanding March 2015 production by Encores! brought the almost-forgotten show back to New York’s mainstream stage for the first time since the original Broadway production closed in 1952. And because the original cast album – an early limited capacity monaural LP – had omitted so much of the music, the score was ripe for rediscovery and a brand new recording. Helping to capture the spirit of the original Broadway production were the full handwritten scores used in 1951 by Franz Allers (Loewe’s favorite musical director) and discovered accidentally by Rodgers & Hammerstein musicologist Bruce Pomahac at the bottom of a musty Warner Chappell trunk stored, curiously, at the R&H offices in New York.